This week’s calendar features music at the Oklahoma State Fair, the opening of a renovated performance hall, and season openers for two local orchestral groups. 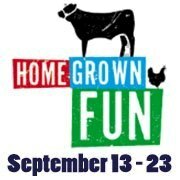 The Oklahoma State Fair comes once again to the State Park Fairground and surrounding area from September 13th through the 23rd. This year at the fair, Disney on Ice presents “Dare to Dream,” a new show featuring characters from animated Disney movies such as “Tangled,” “The Princess and the Frog,” and “Cinderella.” The Chesapeake Energy Stage hosts musicians nightly including country singer Kevin Fowler on Thursday, September 13th, 80s duo Air Supply on Friday the 14th, and Eddie Money on Saturday, September 22nd. As always, the fair will also be full of rides, food, and children’s activities. The Oklahoma City Philharmonic kicks off its 2012-2013 with its Grand Opening Night on September 15th at 8:00 p.m. at the Civic Center Music Hall in Oklahoma City. The performance features 18-year-old Conrad Tao as a guest pianist on several numbers. Tao has played at Carnegie Hall, composed for the Dallas Symphony Orchestra, and is a Davidson Fellow Laureate. Lead by Maestro Joel Levine, the orchestra performs Edward Elgar’s “Enigma Variations” as well as pieces by Dohnanyi and Franz Liszt. Northwest Classen High School in Oklahoma City holds an Opening Gala for the renovated Hudson Performance Hall with a special concert Sunday, September 16th. Performances begin at 2:00 p.m. featuring musical acts such as The Mojo Men, Bill Maxwell, and Grammy winner, country music star, and alumni Vince Gill. The space, originally built in the mid 1950s, was updated as part of the Oklahoma MAPS for Kids initiative. It now seats nearly 1,400 people. Proceeds benefit Northwest Classen and additional improvements. Oklahoma City’s residential chamber music ensemble Brightmusic opens its Tenth Anniversary Season with two concerts in Oklahoma City. The shows begin 7:30 p.m. at All Souls’ Episcopal Church on Monday, September 17th and at St. Paul’s Episcopal Cathedral on Tuesday, September 18th. The evenings’ theme is “Bright Winds.” The nine-person ensemble performs works by French composers Jean Françaix and Maurice Ravel as well as Wind Octet in E-flat Major, op. 103 by Ludwig van Beethoven and a piece by Mozart. A reception follows both performances. Oklahoma Shakespeare in the Park completes its season with a short run of “Othello” from September 13th through the 29th at the Myriad Botanical Gardens Water Stage in Bricktown. For more information and events in your area, visit our calendar page.